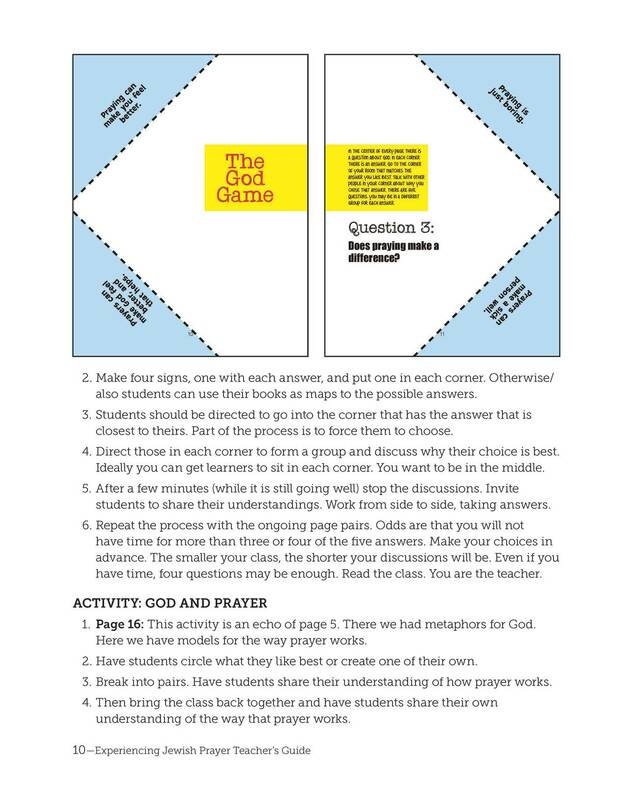 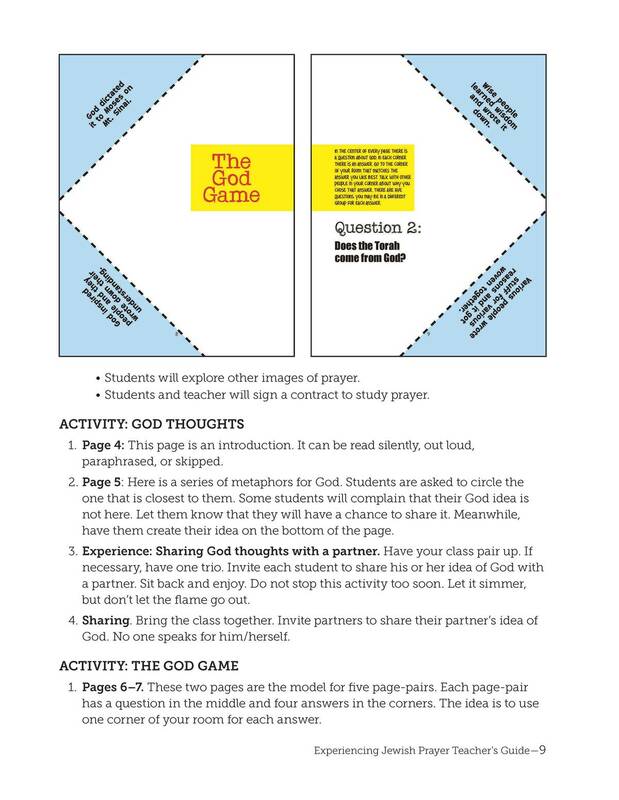 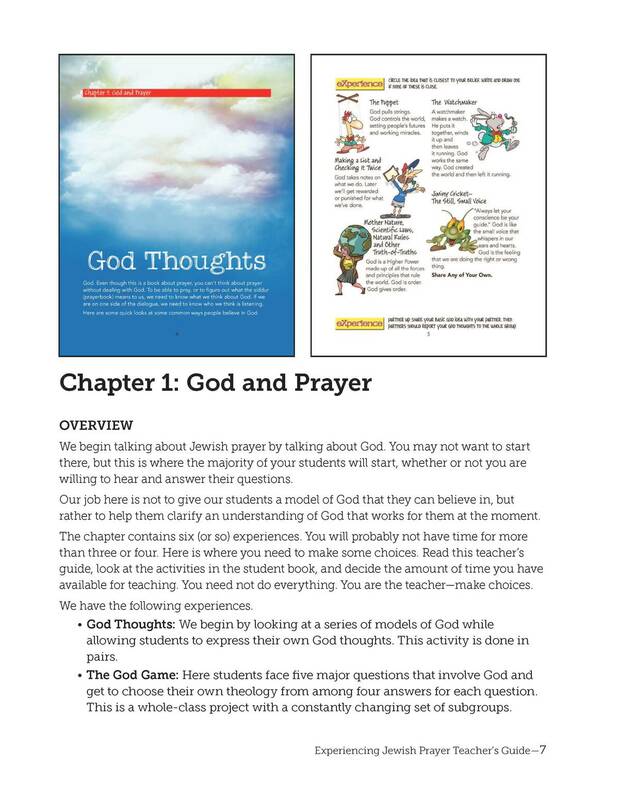 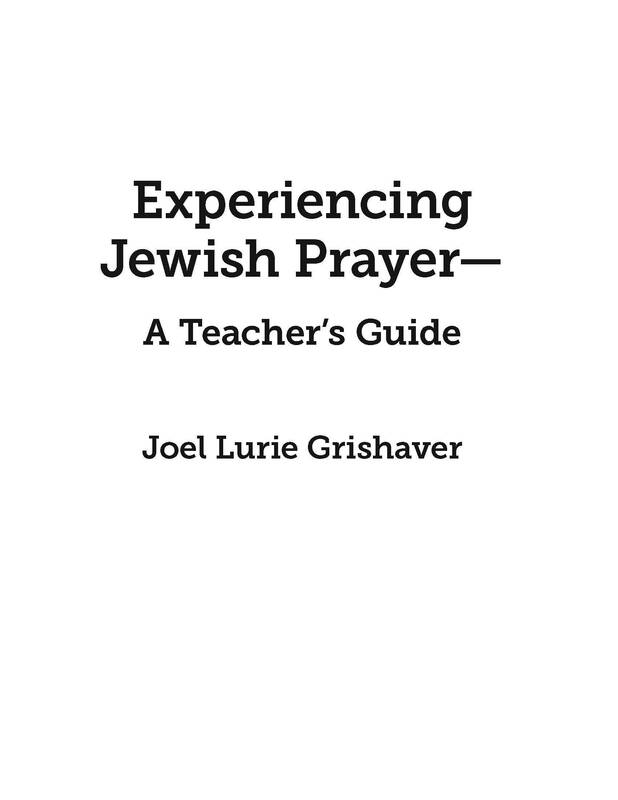 Grades: 5-7 Experiencing Jewish Prayer is a perfect introduction to the meaning of prayers for students who have no previous experience studying prayer. Experiencing Jewish Prayer adds meaning and context to God and Jewish Prayer and, in the process, builds memories. 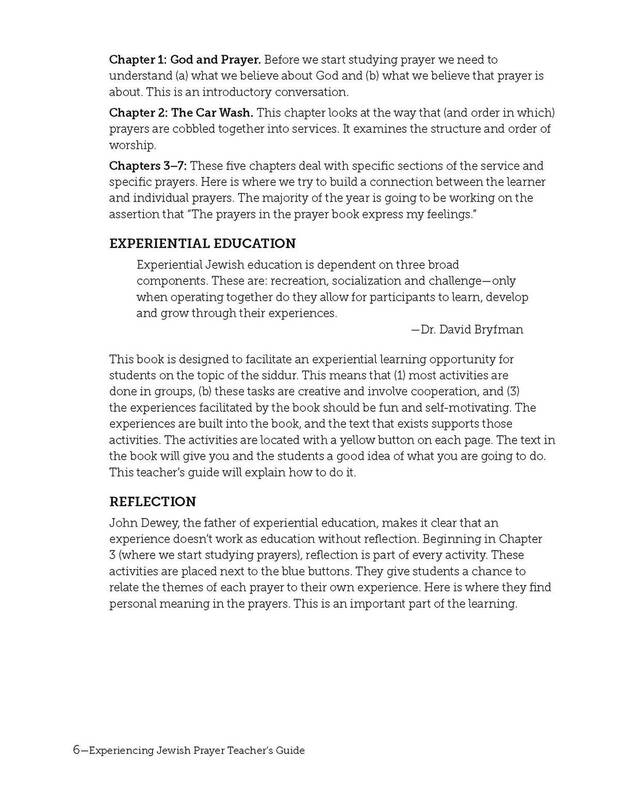 This experiential book makes the standard liturgy (from all movements) into a meaningful whole. 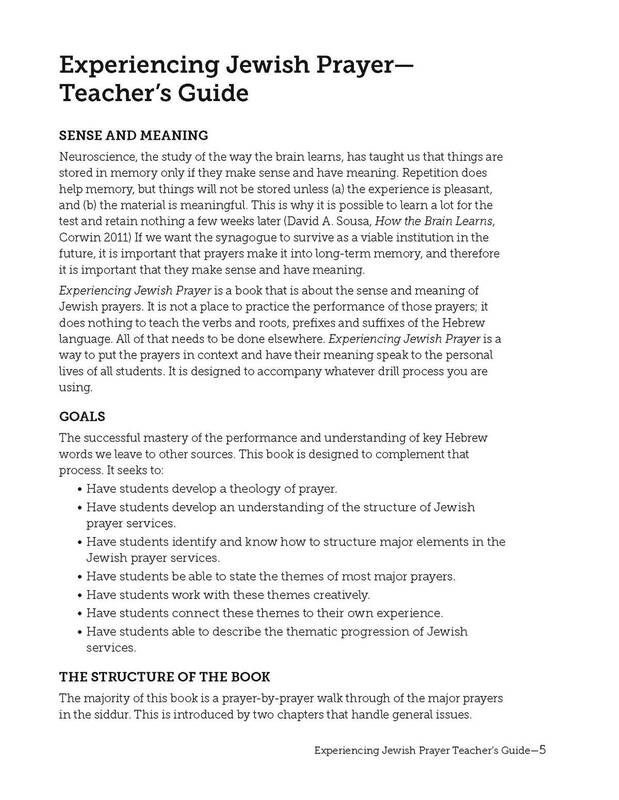 Teacher Guide for Experiencing Jewish Prayer.